I know the title sounds crazy but we've all no matter how perfect some may think their skin is, have experienced that one time we've had the zit that decided to barge in with no invitation or no warning WHATSOEVER!!! THEN ON TOP OF THAT they done made a home on top of your face and won't leave even when you put an eviction notice on there with every skincare product and device for them to leave. We've even tried popping the suckers away and they just won't budge for nothing. GEEZ WHAT A PEST! YES we've all experienced that at least once in our lives. But worry no more my dears! I've found the cure to blast them suckers away. This is great for that industry model that may be going to a casting call, this is great for that bride that's getting married within a week or the next day and need a right now fixer upper, this is great for that person that has a photoshoot the next day or so, this is great for that everyday woman that may have an interview or a date night coming up. This is a great option over all for the person that does not want to see a zit sitting on their face. And who wants to see a zit sitting on their face??? Anybody???? NO??? I thought so!!! 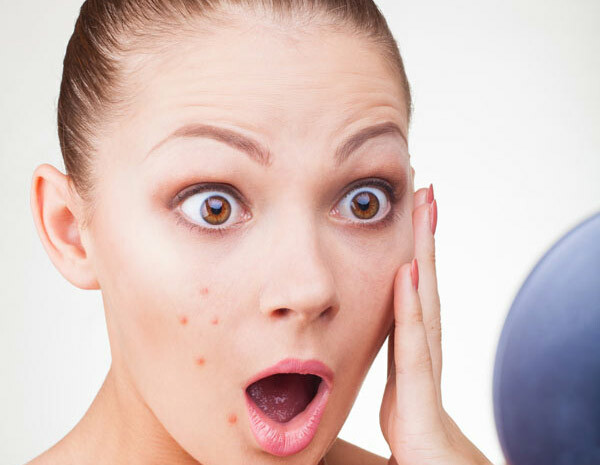 What makes the whole experience of having a zit on your face worse is zits always appear in the most obvious areas where people can see it. It never pops up near the hairline, or under the jaw line, near the ear or anything that is a hidden place that zit likes to be the life of the party! It wants to appear on your nose, near your mouth, smack center on your face just waiting to get some attention. DANG at least have a heart ZIT...Oh wait zits don't have a heart or a mind of it's own but I would like to think it has a mind of it's own! 1. Because I say it is... lol (just kiddin) Nope I'm not. Really I've tried and tested it and it works. I had a zit for as long as 2 months in the same area of my face and it would sort of disappear, SORT OF but that sucker was full of crap. It would act like it was disappearing. I tried numerous of products. Y'all know I'm into skincare but I could not get that one zit to disappear. It wasn't until I did some research I discovered this product. I've passed this particular product so many times. And I knew about it but yet I didn't know about it. 2. It has the one thing that will have that zit running for cover...BENZOYL PEROXIDE! Benzoyl Peroxide is like a nuclear bomb on your face that destroys only the bad things which that would be that zit on your face. **NOTE: Let me tell you the only way I was able to find this product is because I got a skin analysis and they told me what ingredients to look for in products. Benzoyl Peroxide was the ingredient they suggested. 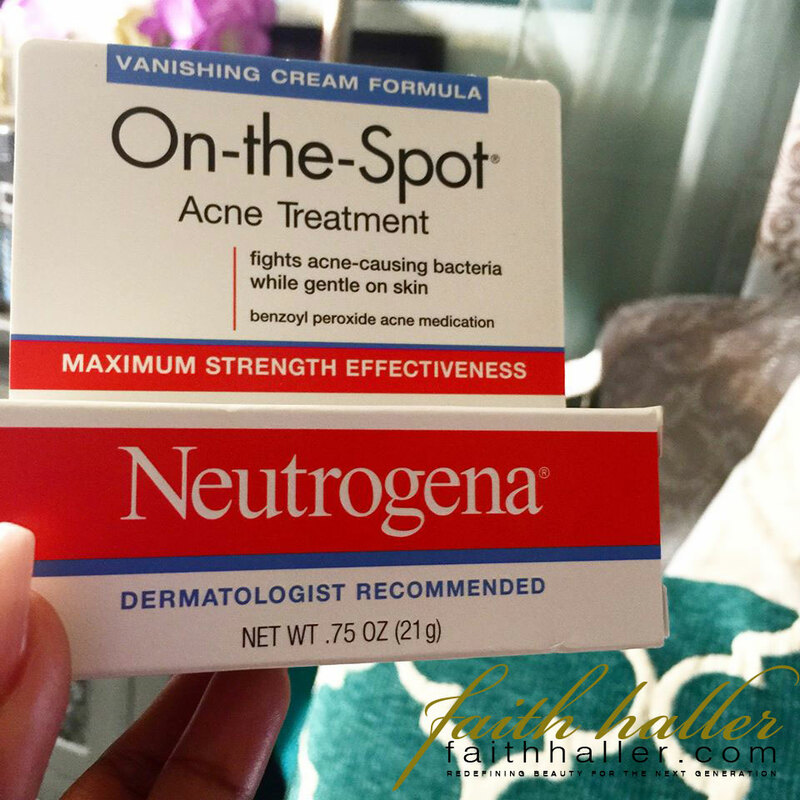 So I did my rounds of research and Neutrogena on-the-spot was it! TIP: Remember this is an On-the-Spot acne treatment. No need to cover your whole face with this product unless you need to. Only spot treat and I would suggest because I'm no dermatologist talk to your skin doctor and ask about this product and if it would work for your skin. And ALWAYS get a second look because sometimes you may need another eye. Every doctor doesn't know everything. Also do your own research. That's how you learn and grow. If you decide to use at your own risk like I did I would suggest you start slow. Do not over do it because just like any medication too much is a bad thing. Too much of anything is a bad thing. So definitely be modest. I use this product 3 times a week to prevent unwanted irritation. I'm not saying I would get it but just in case. 2.5% Benzoyl Perozide which will give you that maximum strength without irritating the skin, causing redness and dryness that can make acne worse. What products are you loving right now that fights acne?? ?